The grallers de La Colla Pessigolla (original name) were born in 1983 by the agreement between two neighboring and collaborating organizations: the Catalan Folk Dancers and the Feast Committee of Sant Roc de la Plaça Nova (future Feast Association of Plaça Nova). 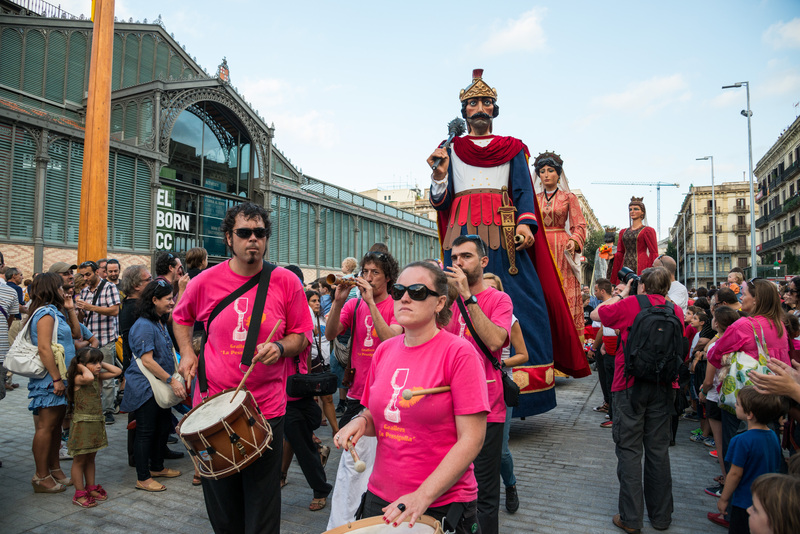 Its birth was basically motivated to make musical accompaniments to the baton dancers and the traditional dance chore and to the giants of San Roc of Plaça Nova. 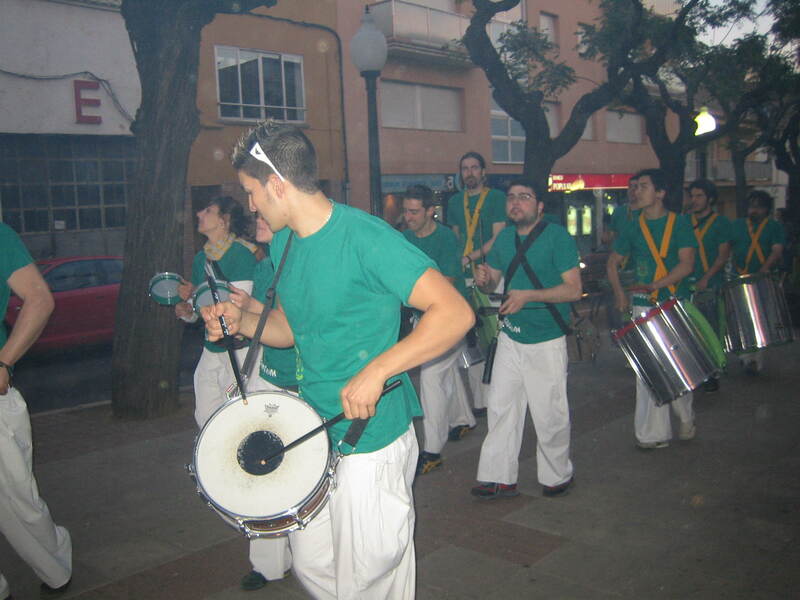 In 1986, however, with the renewal of its members, the grallers La Pessigolla focused its activities within the Feast Association of Plaça Nova -of which they were already music section-, and with the main task of accompanying and making Roc and Laieta, the giants of Sant Roc of Plaça Nova, and the recovered dwarf Cu-Cut, dance. The enrichment of the organization, the neighborhood and the city with new elements of festive imagery, caused the grallers La Pessigolla to become the habitual musicians of the also recovered Eagle of the City. With the Eagle, La Pessigolla, have represented Barcelona in Paris, ​​Palma de Mallorca, Vilafranca del Penedès, Valls, Montblanc, Perpignan, Zaragoza, Poznan... and in the feasts of la Mercè and of Santa Eulàlia. Besides traveling around Catalonia -including north Catalonia- alone or accompanying a piece of the plaçanovinan festive imagery (old giants, new giants, Cu-cut, the Eagle, Víbria and Arpella) the music of La Pessigolla has also been heard in many other places such as in the towns of Foix, Montsegur, Carcassonne, Toulouse, Bordeaux, Marseille ... (in Occitania). Alcoy, Estivella, Alacant, Xàtiva ... (in Valencia). Palma, Inca, Sa Pobla ... (in the Balearic Islands). La Pessigolla has also performed in Paris, Britain, Poland, Sicily, Andorra and Japan. La Pessigolla, as grallers musicians, has also performed at concerts - vermouths, matinees, gralles dances, parades, processions, mass, gatherings, calçotades... All with absolute rigor and respect for tradition, but without forgetting the progression of the instrument and great care for the repertoire, which has distinguished them throughout the city. La Pessigolla has also performed in such prestigious and unique venues as the Tradicionàrius Festival, in Gracia, and in La Pobla de Segur or Zeleste Club. In 1997, the Craft Centre Tadicionàrius made a cassette recording -sold out- with the music of the festive elements of the Plaça Nova and a few songs of their own repertoire. Percudium was born in Barcelona in October 1996 with the aim to meet the musical needs of a group of friends. At the beginning it clearly seeks new ways in the world of street percussion and goes against the trend that hitherto prevailed in the tradition, that almost exclusively located percussion in the world of devils and "correfocs", and commits to African, Latin, Brazilian... rhythms. So, full of enthusiasm and excitement, 7 people start the new adventure of a group baptized in the van that took them to their first show, the "correfoc" of Sarrià. Since then, they seek new styles, new instruments, new trends. It is currently made up of more than 15 musicians, with a distinctive image, in green and white, and with a sound that invites to celebrate, the group is recognized wherever it goes. Its history has led it to perform in different countries in Europe and on other continents and to be known in many towns and cities of our country. Percudium offers a feast of rhythms, sounds and color in their performances, plus an attitude very close to the audience, encouraging everyone to dance and vibrate with their rhythms.